In the intensely competitive fashion industry, every brand has to have something unique to make sure its garments stand out. One answer is to go for labelling – and for the best of these you need to be sure to use woven clothing labels. Of all the various fabric labels available on the market today, these ones are always designed to be the best. 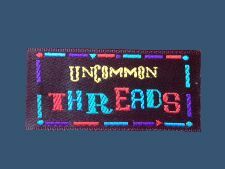 If you run a high-end clothing brand, or are involved in a sports team or other group wearing the same clothing or uniform, woven labels can identify these items and make them stand out. The buyer will make an instant visual identification with your name. It can be the perfect, professional finishing touch reflecting your products’ quality and the brand’s style, while putting the ultimate stamp of elegance on the item. Equally, the soft nature of woven labels mean they won’t irritate the skin when worn. Make sure you go for quality – don’t spoil a beautifully designed piece of clothing with a tacky-looking label that doesn’t fully reflect your brand values or its style and quality. 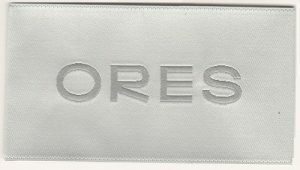 At Perfect Labels Lanyards, our woven fabric labels are made from high-density damask in high definition so that any image used is clearly visible. We can tailor our machine washable labels to your artwork specification in a huge range of different colours, and have been in the industry for more than a decade and a half. We offer highly competitive pricing, can meet tight deadlines for prompt delivery, and offer an extensive line-up of different woven labels with various size options, depending on what you need. Our labels also suit all items of clothing, whatever you’re labelling, from dresses to T-shirts. Get in touch to discuss your requirements, and for a free quote, today.